"ונכרתה־הנפש־ההוא־מעמיה" "And that soul shall be cut off from his people". This warning appears four times in the parasha. What does it mean? When the Torah talks about death it is almost never about termination of life as we know it. The first time we read about a warning of death as a result of an action is in Bereshit (Genesis) where G-d tells Adam and Eve "Do not it (eat) from the tree of Knowledge…" "כִּי, בְּיוֹם אֲכָלְךָ מִמֶּנּוּ–מוֹת תָּמוּת" "in the day that you eat from it you will surely die." We know that Adam did not die and in fact he lived 930 years. The death that the Torah is talking about is a spiritual "cut off", a disconnection from the root of the soul. "ונכרתה־הנפש־ההוא־מעמיה" can be read as "ונכרתה־הנפש־ההוא־מעמ–יה", which means "and the soul shall be cut off from the nation of \’יה\’." We know that those two letters represent the first two letters of the Tetragrammaton and that they relate to the higher Sefirot of Chokmah and Binah. Kabbalah teaches us that there are five levels to the soul (Nefesh, Ruach, Neshamah, Chaya and Yechida). We will not expand on all the levels here but we need to know the life force given to us is called Nefesh and it is in the blood, as it said in Deuteronomy 12:23, "רַק חֲזַק, לְבִלְתִּי אֲכֹל הַדָּם, כִּי הַדָּם, הוּא הַנָּפֶשׁ; וְלֹא-תֹאכַל הַנֶּפֶשׁ, עִם-הַבָּשָׂר" "Only be steadfast in not eating the blood; for the blood is the soul (life); and you shall not eat the soul (life) with the flesh." The fire on the Altar should stay on at all the times in order to keep all the impure spirits away. "אֵשׁ, תָּמִיד תּוּקַד עַל-הַמִּזְבֵּחַ–לֹא תִכְבֶּה" "Fire shall be kept burning upon the altar continually; it shall not go out." Repeating this verse multiple times will help to overcome and stop the evil inclination from invading a person\’s thoughts. Before Yom Kippur we do the Kapparot to remove judgments from ourselves. This is the closest action to the sacrifices done in the Temple. When properly done a person should watch while the Shochet ("שוחט") slaughters the bird and lets the blood drip to the ground, then the person should take soil and cover the blood with a special blessing. The soul of the bird takes the judgment away from us and we cover the blood in a symbolic burial process. Giving the bird to the needy or eating it is adding an additional positive action to the process and helps elevate the animal soul to a higher level. It is known that the animals brought for sacrifices in the Holy Temple were waiting in line for their turn to be scarified. On a soul level they knew that being scarified will elevate their soul to a higher level. The Jewish people have the responsibility to be a Holy Nation "וְאַתֶּם תִּהְיוּ-לִי מַמְלֶכֶת כֹּהֲנִים, וְגוֹי קָדוֹשׁ" "and you shall be unto me a kingdom of priests, and a holy nation." Following the Torah keeps us on the higher level of "יה". Rabbi Avraham Azulai ("Chessed L\’Avraham") writes that eating or not eating Kosher will not make your life longer or shorter. The Jewish soul must keep kosher for the purity of the soul. The 613 mitzvoth is our guide to follow in order to keep us at a higher level, closer to the light of the creator and be able to be part of a Holy nation. Otherwise we get "cut off". 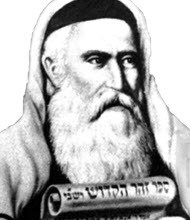 Special Note: All the references to the Zohar is from The Zohar with Peirus Hasulam by Rabbi Yehuda Halevi Ashlag, ZT"L.
This week we have a special contribution from Ezra (Jeff) Meiliken, mathematician, Torah scholar and Torah Decoder. He is the author of the book "The Genesis Prayer: The Ancient Secret That Can Grant You Miracles ". "The Divine Calendar" and "There\’s Nothing Random About the Universe"
According to Chazal, including Rabbi Chaim Vital and Rabbi Abraham Abulafia, utilizing gematria is the deepest level of understanding of the Torah we can have, and a brief review of the first verse of this weeks\’ portion Tzav reveals why. The Torah is a highly complex matrix of knowledge, blessings, instructions, insights, technology and their underlying codes. Within this matrix, as with most processes in the universe, the beginning sequence, or as some refer to it, the seed level, is what sets the tone for the whole portion. And so it is with Tzav. The first verse of Tzav, ("וַיְדַבֵּר יְהוָה, אֶל-מֹשֶׁה לֵּאמֹר") is an oft repeated one in the Torah and it contains 5 words or 18 letters: VYDBR YHVH EL MSH LEMR ("וַיְדַבֵּר יְהוָה, אֶל-מֹשֶׁה לֵּאמֹר"). When we look at the underlying standard gematria (222, 26, 31, 345, 271) of this seeming simple verse, "And God spoke to Moses, Saying," we see that the first two words sum to 248, the same value as Racham and Richem ("רחם"), Mercy. The next two sum to 376, the same as Shalom, Peace, and the final word breaks down directly to Lo Mar ("לא־מר"), "No bitterness" so we see the verse is actually a blessing for us of "Mercy, Peace and No bitterness," and since the very next word is Tzav, to command, this is what G-d is offering us and commanding of us. But the coding is even more beautiful than that because this simple 5 word, 18-letter verse also connects us to Creation and the purity of the seed level of the Torah, through its first word and verse in multiple ways. When we add all 5 words together we get a total standard gematria value of 895 and then add to that 18, the kolel for the 18 letters, we get 913, as in the value of the Torah\’s very first word, Bereshit ("בְּרֵאשִׁית") ("In the Beginning"). Moreover, this verse is repeated 6 times in this portion (Leviticus 6:1, 6:12, 7:22, 7:28 and 8:1) and according to Chazal, 6 always stands for the letter vav, and Zeir Anpin and the six extremities (physical directions), which are all one and the same and are represented by the six sefirot (Chesed, Gevurah, Tiferet, Netzach, Hod and Yesod). These six are broken down into the upper three and the lower three, corresponding to the upper and lower triangles of the Magen David (Star of David). This is important because when we add up the numerical value of three verses we get 895 + 895 + 895 plus 15, the kolel for 15 words in the three verses and add 1, the overall kolel for the equation, we get 2701, the exact value of the Torah\’s very first verse. There is much more in this verse for more advanced students of gematria and Kabbalah, such as the numerical value of the first word (VYDBR) in the oft used gematria atbash being 424, the same Mashiach Ben David and the third or middle word, El, being 42 as in the Shem Mem-Bet, and that the small gematria value of the last word (LEMR) is 3142, the same as that of Ehyeh Asher Ehyeh (I Am that I Am), but it\’s noteworthy for everyone that the first letter of each of the 5 words spells out Yom El ("יום־אל"), or G-d\’s Day, once again referring to the 6 days of Creation through the 6 verses, helping us to recreate, refresh and renew our world and lives as we prepare for Pesach–there are no coincidences in the Torah, only deep technology to help and inspire us. Is there any relevant connection between the two accounts? I am familiar with this chapter but I won’t go into analyzing it because it is not in the sacred language. Like with everything in the world of the tree of knowledge good and bad there are the two aspect of good and bad. 666 has the two sides. The words for Mashiach and Snake have both numerical value of 358. Check kabbalahsecrets.com for many references to 666 and the final redemption.